What a great Par 5 to finish! 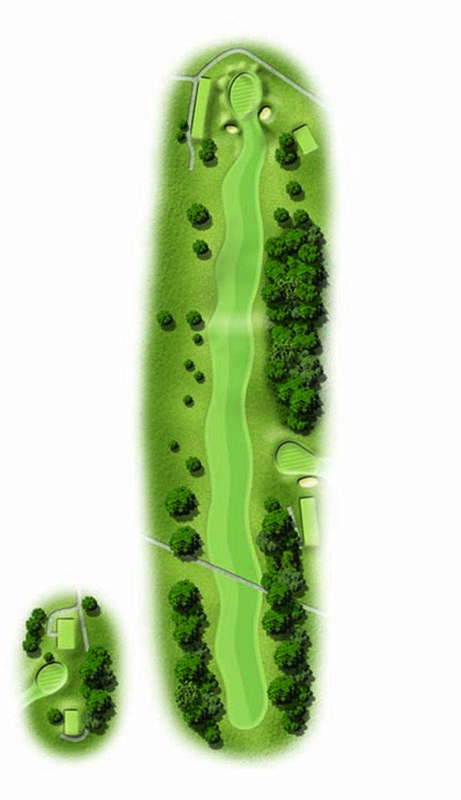 The drive is through a chute of trees to a fairway that becomes wider the further you go. The second shot needs to favour the right hand side to give you the best approach to the home green, which has a fairly steep right to left slope. It may be your last hole of the day but this green is tricky, so final tip is no gimmies here!